Doc Martin - Season 3 Starts Saturday! Sat. Jun. 14 - 9pm, Sun. Jun. 15 - 7pm - WKAR-HD | Season 3 begins with Martin's efforts to reconnect with Louisa Glasson, which are derailed by the arrival of her father, a shady figure who's hatching a larcenous scheme. 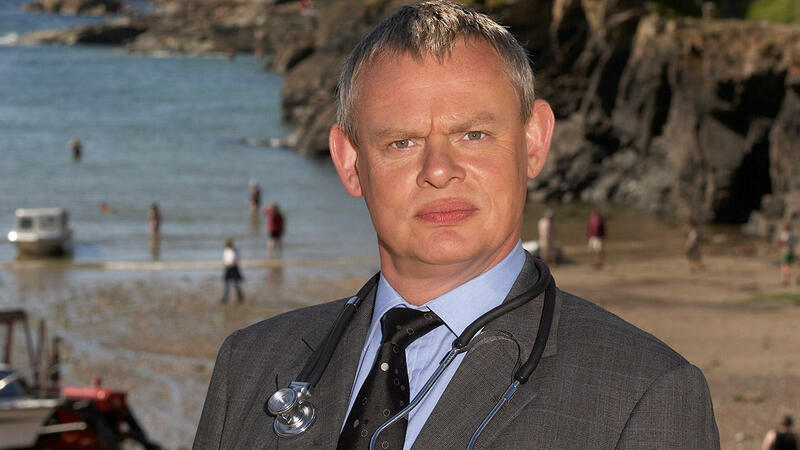 Martin Clunes (Men Behaving Badly) returns for the third season of DOC MARTIN as the brash doctor Martin Ellingham, whose blunt opinions and tactless manner causes mayhem in a small Cornish community. After retraining as a general practitioner, he gets a job in the beautiful but sleepy village of Portwenn replacing their deceased local doctor. But his abrasive personality doesn’t exactly mesh with the pace of life in Cornwall. Having failed to restart his relationship with Louisa Glasson, Martin is forced out of the picture with the arrival of her dad, Terry Glasson. Terry has hatched a scheme with a colleague, Jonathan Crozier, to smuggle in some explosives which they want to use to help them in a robbery. Terry decides to back out of the smuggling, and things get even worse for Doc Martin. As he finds himself held hostage, along with Louisa, by a paranoid Jonathan as he attempts to force Terry to carry out their plan.